Textured linen weave heavy paper folders with deckled edges. Holds horizontal landscape 8x6 photos. Optional custom imprinting available. 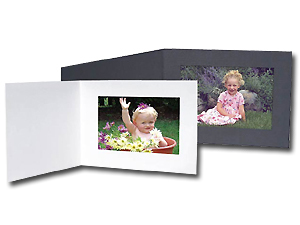 Photo Opening Size: 7-1/2" x 5-1/2"